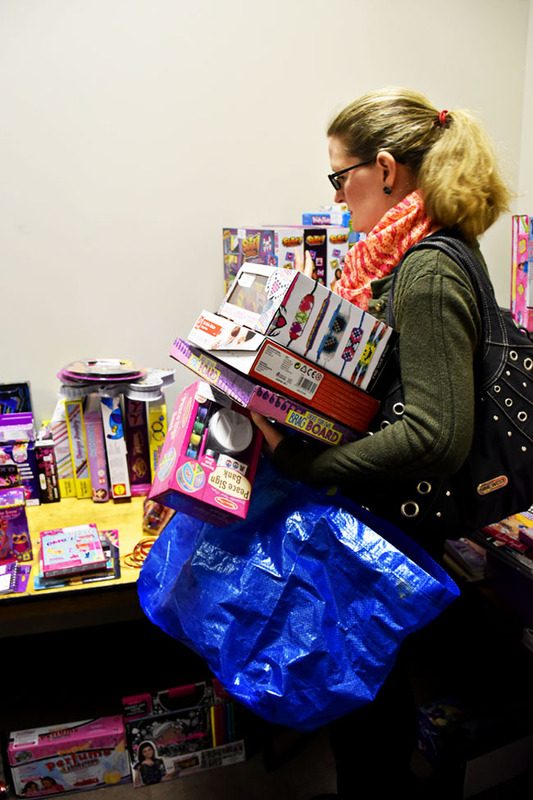 If you are playing Santa to a kiddo or two this Christmas, I have an incredible tip to help you get great gifts on a budget. If you live or work in the Greater Toronto Area, get yourself to the Pop! 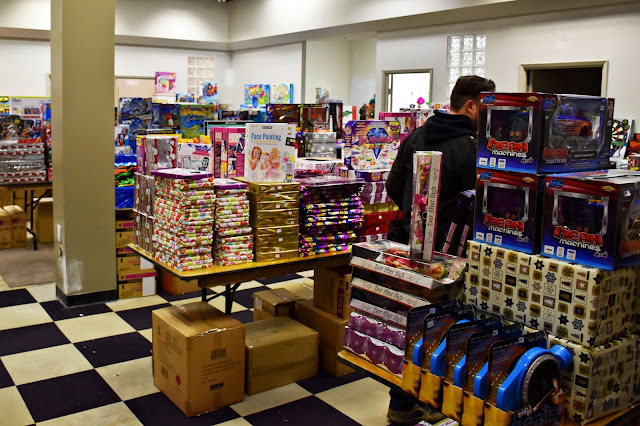 Toy & Party Services Toy & Gift Warehouse Sale. Running until December 24th, this sale features popular toys for kids ages infant to 14 years at significantly reduced prices. Like, if you have $100 to spend, you can get 5 or 10 gifts! 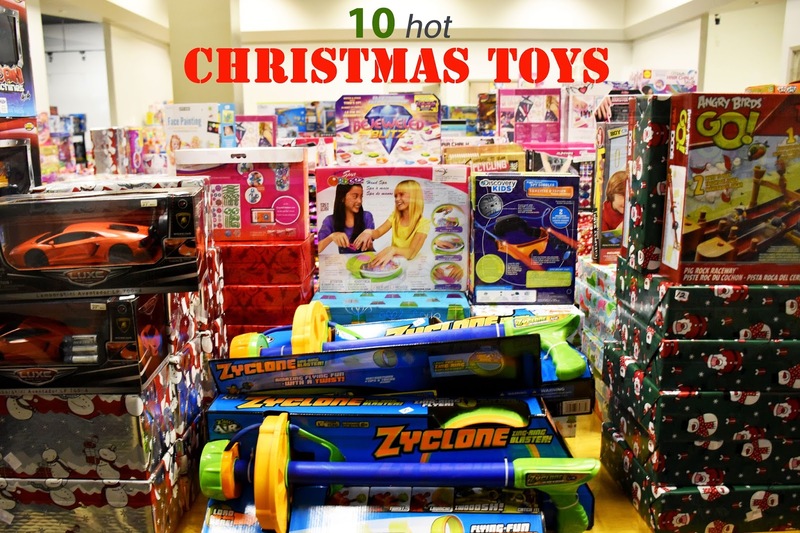 To give you a better idea of what you can find, here are 10 hot Christmas toys I spotted at the Pop! 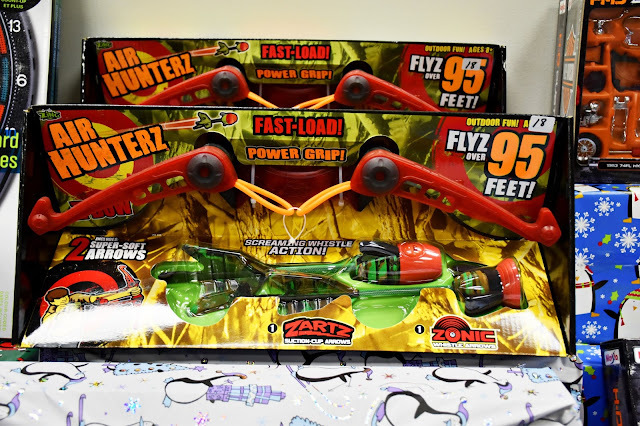 Toy Warehouse Sale. The main toy showroom at the sale is organized by age, making it easy to find what you need. 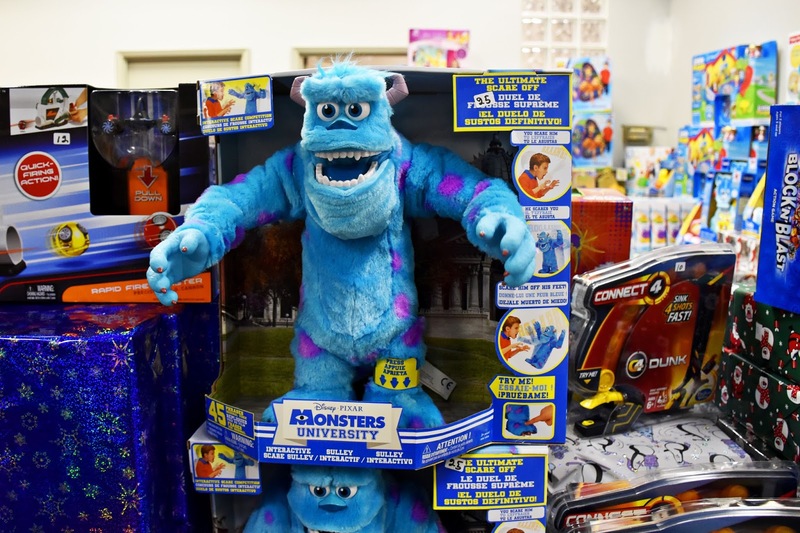 I think this Monsters University Interactive Scare Sulley is pretty much for any age though. (No? Is it just me?) He's so darn cute - his arms raise up and he speaks phrases from the movie. I know my kids have always enjoyed V-Tech products. For the baby and toddler set, Bear's Baby Laptop is sure to be lots of fun. It's also educational (and, let's face it, keeps the little one busy in the car and on the run). 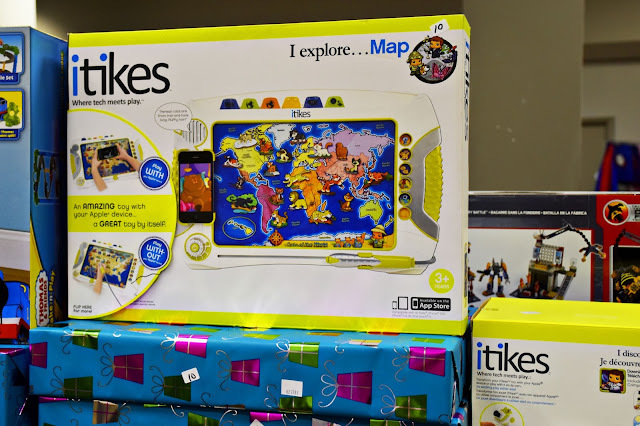 This iTikes map has a smart pen that allows kids to interact with the map, learning fun facts about the world. Users can also hold an iPod Touch (or Mom's iPhone) over the map for more interactive options. 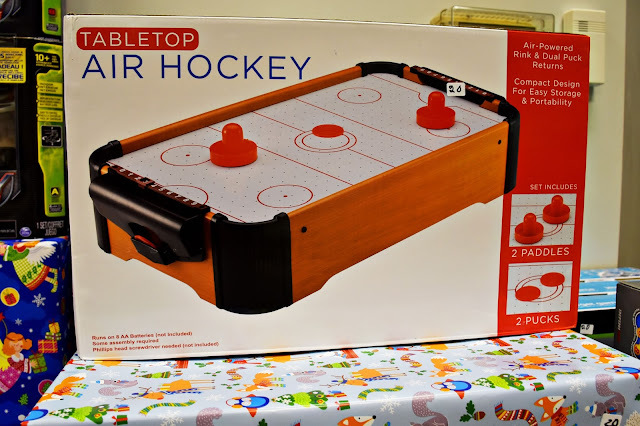 And it's 10 bucks at the sale. Where else can you get something this cool for $10? You can't argue with the popularity of Frozen. And what little girl doesn't love paper dolls? I remember how much I loved to change the dolls' outfits when I was a kid. This set comes with over 25 magnetic actions for $12. I don't have wee ones anymore, and I kinda miss the cute little toys that were always underfoot. (Kind of.) 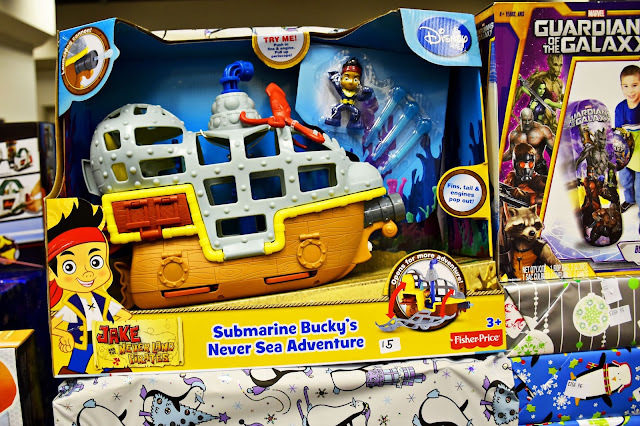 Submarine Bucky opens up for more adventure and fires three projectiles with the help of the Jake figure. 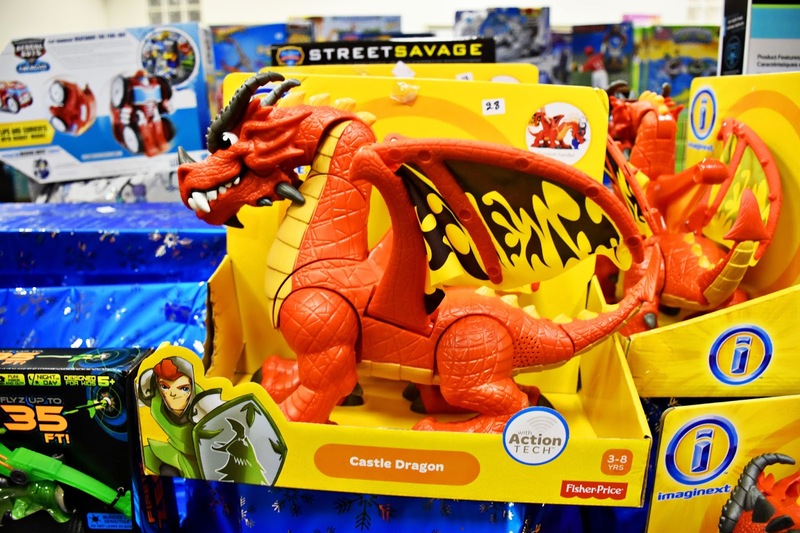 For kids ages 3 to 8, the Imaginext Castle Dragon entertains with a roar that kids control. The dragon's wings go up automatically when he's lifted in "flight." 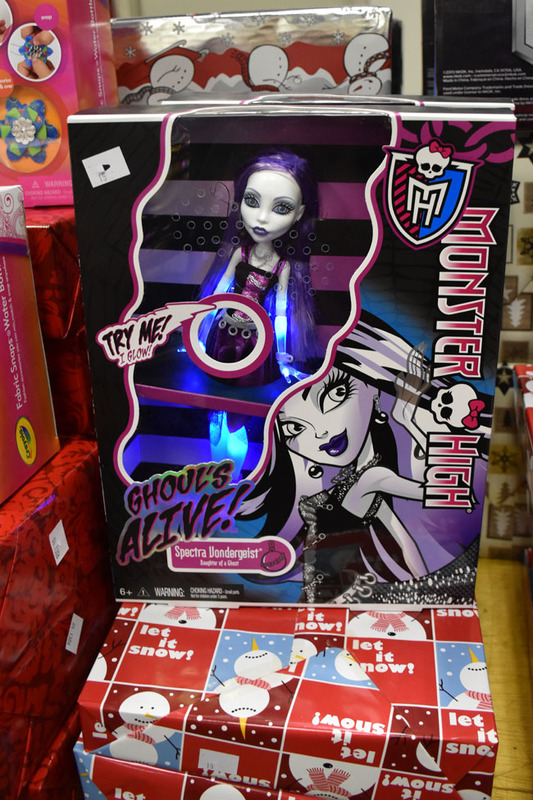 For the Monster High fan on your list, this glowing Spectra Vondergeist doll is sure to please. Lovin' the purple hair. Boys like to shoot things (like their sisters). Sigh. Fortunately this Air Hunterz bow set has super-soft arrows. Flies over 95 feet. The Pop! 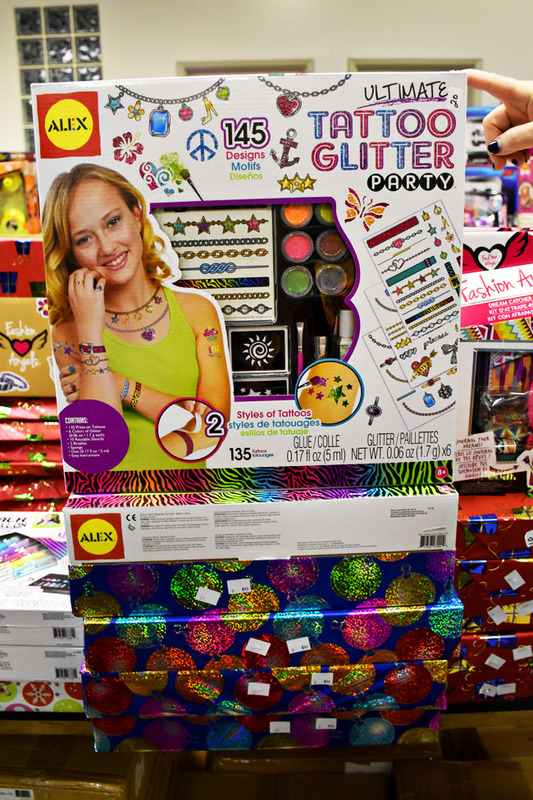 Toy Warehouse Sale is chock full of crafty kits and hands-on activities, like this Alex Ultimate Tattoo Glitter Party kit. 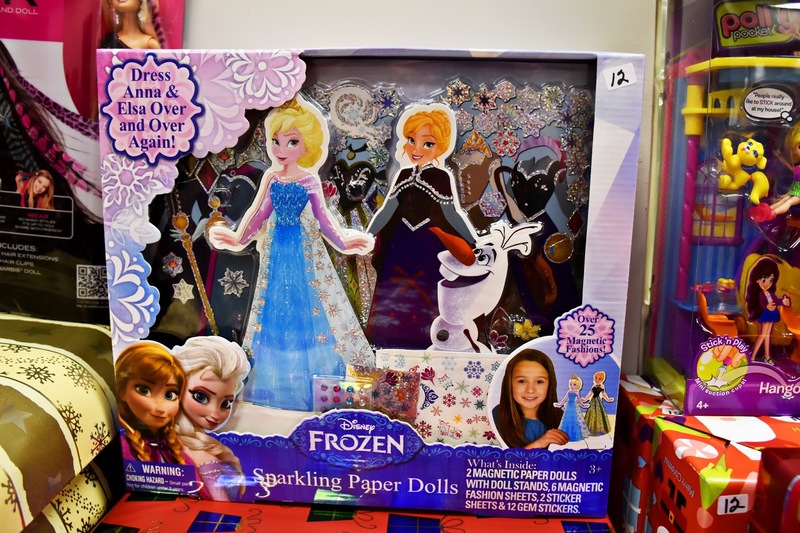 How much fun would your preteen girl and her friends have with this set? That's me browsing the (abundant) crafty section of the sale. These are my fave kinds of gifts to give my little girl. I wanted every.single.craft.kit. For her of course. That's my story and I'm sticking to it. You'll notice that many of the gifts are already wrapped, at no extra cost. And the helpful staff gave us sticky notes so we could remember what's in each wrapped package. Pop! Events Group specializes in providing children’s corporate holiday parties. I recall going to parties like this when I was a kid and it never occurred to me how much planning and work goes into them. Pop! Events Group has a huge warehouse used to stock and distribute party decor and high-quality wrapped gifts for ages infant to 16. 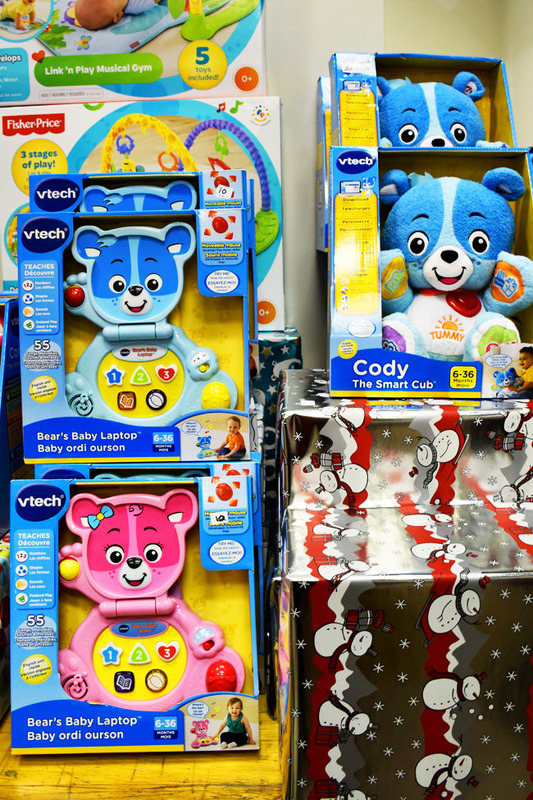 After all of their holiday toy orders have been filled they open the remaining stock to the public and sell off brand new (and in some case pre-wrapped) name brand toys at warehouse prices. 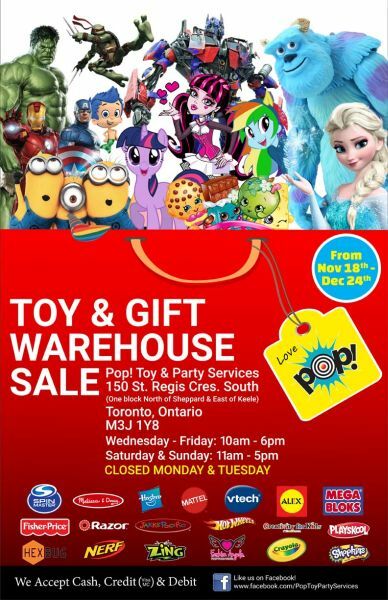 Find the toy sale at 150 St. Regis Cres. South in Toronto (one block north of Sheppard and east of Keele). Parking is free. Cash, credit and debit are accepted. Follow Pop! on Facebook for hours and information and to keep an eye out for money-saving coupons. *I received perks in conjunction with this post. All opinions are authentic and my own. 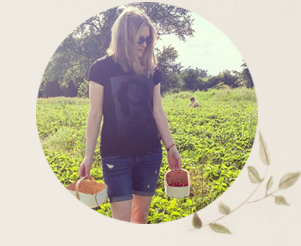 Thank you for supporting the awesome companies that partner with Woman in Real Life.